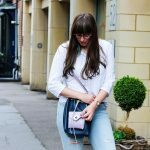 I get a lot of feedback on my style posts on my social media channels, thank you guys for that, and a lot of those comments include how you like how I wear everyday looks, how I don’t over style my looks, and that they are accessible, you will generally have ripped jeans in your wardrobe already, I’m just trying to inspire a different way of wearing them. I could wear loaned designer gear each post but who can afford that, I like to keep things real, these are outfits that I wear, repeatedly in fact, OK some are a little fancier than others but I try to share looks with a purpose, whether that’s an occasion, how to style a trend, or just share my everyday casual vibe, and I’m so pleased that you guys like to see that. 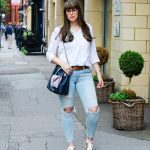 This look is one of my current favourites, these ripped jeans from American Eagle are the most incredible, purse-friendly denim on the high-street, I seriously can’t get enough of them. They were £42, which is a great price, but at the moment they are only £15, seriously stock up these beauties. Plus if the price wasn’t enough I love that they contain recycled coffee grounds, which apparently means you don’t need to wash them as often as it absorbs odours, plus coffee grounds have microscopic pores that reflect UV rays. FYI, if you think they smell of coffee they don’t, that would be horrid. The best thing about these skinny ripped jeans though is that they are super comfortable, they fit like a dream and the super stretchy denim doesn’t ever feel loose, no matter how many times you wear. 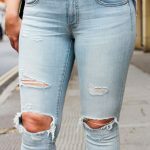 Plus I love that the ripped knees are just the right amount of ripped, not too much, but there’s a little give in them so you can ease into extending the rip if you want, which I like to do once I’ve worn the jeans in a little. 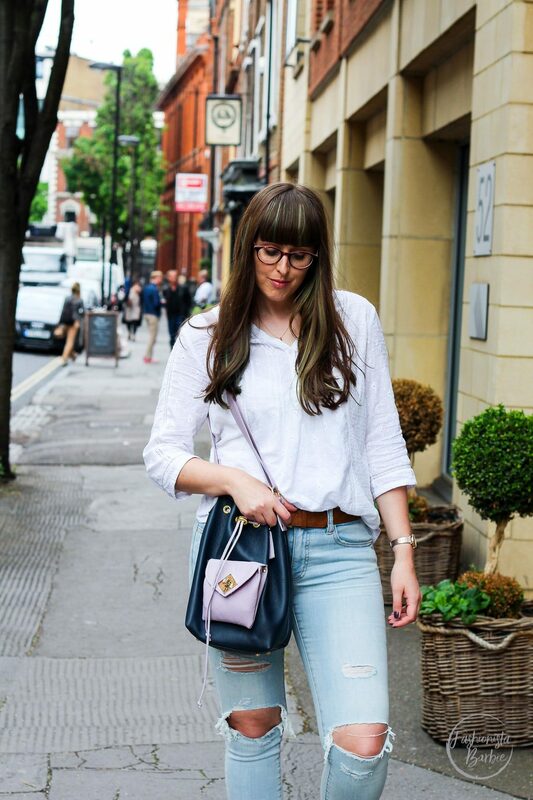 When it comes to ripped jeans I like to opt for simple styling options, a white shirt is my go-to choice of top, it’s classic and even smartens up the ripped look, so makes it great for a varied day of meetings, appointments, as well as drinks with friends. 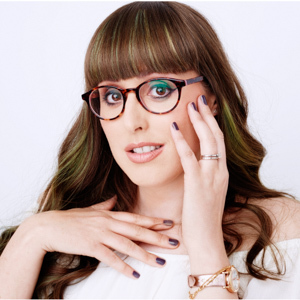 To add a little personality I play up my accessories, I’m still so in love with these rose gold trainers from Next, every time I wear people are always amazing that one that they are Next and that they cost less than £30, serious bargain and you’ll get so much wear out of them. 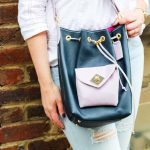 To finish the look I added a touch of colour with my new Harriet Sanders bucket bag, I do still love the pink and navy combination. 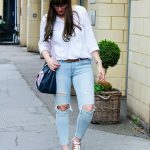 How do you style up your ripped jeans? I really like this casual style! I love your ripped jeans, I was wondering why you picked them in a light color instead of a black ones. does it depend on the moment of the day that you are wearing?